The Pinxton and Mansfield railway was opened in 1819 to export Derbyshire's coal to Nottinghamshire. 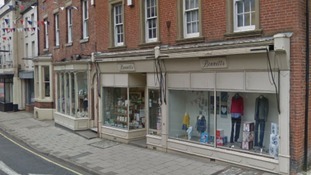 It's the last day of trading at the historic Bennetts branch in Ashbourne, after administrators took over in February. A woman in her mid 70's has died following a house fire in Derby this morning. Around £400 in cash has been stolen from an elderly woman's purse in Derby. Two men and two women have been charged with the murder of Lance Martin who was found in Normanton on Thursday.